As part of the 2,996 campaign to remember the victims of 9/11 I am posting my tribute to William Joseph Wik...who went back in. A hero. The rescue workers who pulled William Wik from the World Trade Center ruins figured he was a firefighter. He wore the same gloves as the five firemen he was found with, and a flashlight and radio lay near his body, his wife said. But Wik, 44, worked on the 92nd floor of Tower Two for Aon Corp. and apparently had volunteered to help emergency workers when he was killed during the terrorist assault. His wife, Kathleen Wik, counts herself among the lucky because his body was recovered and properly buried last week. Many families have not been as fortunate. "I got him back because he helped the firemen," Kathleen Wik said. "That was my gift for his bravery." New York City police officers delivered Wik's wallet and wedding band to his Yonkers home on Sept. 15, a day after he was found. Kathleen Wik said her own farewell to her husband, touching the rose tattoo on his upper left arm before his funeral. She laughed about the tattoo, something her husband had done in his youth that he tried to hide under long- sleeved shirts as an adult. She now plans to get a similar rose tattoo. "No one would believe he had a tattoo because he looked so conservative," Kathleen Wik said. "He was quiet and unassuming." Wik was an assistant director in risk management services for Aon. He started his job in May after working for a company in White Plains. He spent his weekends and free time with his children - Tricia, 16, Katie, 12, and Danny, 8 - and whatever athletic or musical activities they were involved in. "At this point in our lives, our hobbies were the kids," Kathleen Wik said. Besides his wife and children, Wik is survived by his mother, Carol Wik of Sag Harbor; brothers Tommy Wik of Sag Harbor and Ray Wik of Florida and sister Kathy Simon of Southampton. He was buried at Gate of Heaven Cemetery in Valhalla. His family held a funeral for William Wik Tuesday. But they have other memorials planned for the 44-year-old husband and father of three. 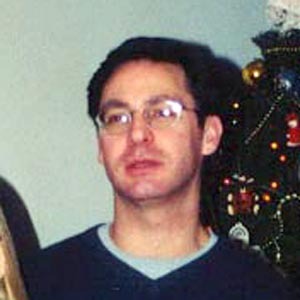 Wik, of Crestwood, N.Y., was killed when the south tower of the World Trade Center collapsed. In May, he had started work for Aon Corp. as an assistant director. Wik loved caring for tomato plants in his home garden. His son, Danny, 8, has taken over that task. Wik had a rose tattoo on his upper left arm. His family and friends are getting rose tattoos, too, his wife Kathleen said, "but not as big and maybe not in as obvious a place." When the first hijacked plane struck the north tower of the World Trade Center, Wik saw it from the 92nd floor of the south tower, where he was in a meeting. He called his wife. "Kathy, I have a lot of people to deal with here," she recalled her husband saying. Wik's body was found in the rubble of the south tower. He was wearing firefighters' gloves, clutching a police radio in one hand and a firefighters' flashlight in the other, she said. "Because he did what he did and was brave enough to pitch in, I found him," she said. "I saw his tattoo and I kissed his arm." Thank you for recognizing this man, my uncle. It has been an absolute pleasure reading and thinking about your uncle. What bravery! Would I have gone in to help?...I hope so...I really do. That is the question I keep asking myself. May God bless you and the rest of your family. "The Ballad of Big Mike"